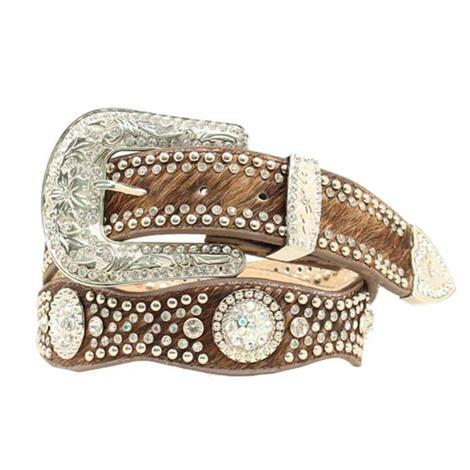 Angel Ranch Women's Light Brown Cream Southwest Inlay w Antique Silver Topaz Crystal Belt. 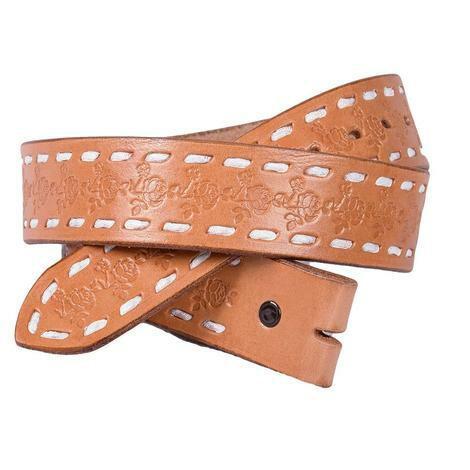 This 1.5" belt is made of creamy brown and tan leather with gator print embossed. 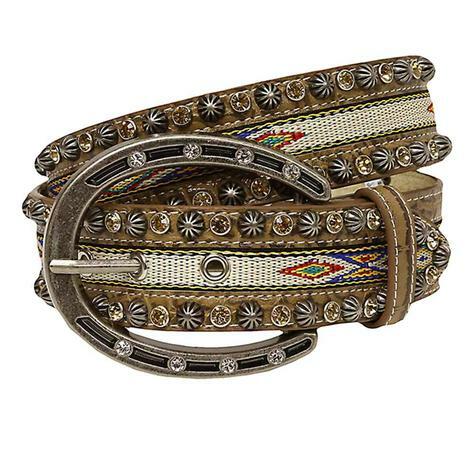 Both edges are run with antique silver toned studs and topaz crystals that shine like stones in the desert sun. 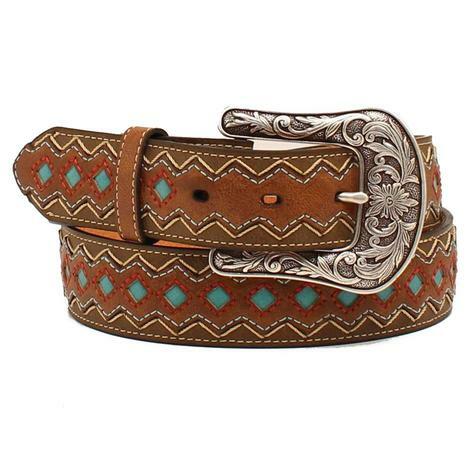 A wonderful southwest printed inlay runs the length of the belt to a tapered end and includes a removable antiqued silver horseshoe buckle topped with clear crystal accents. 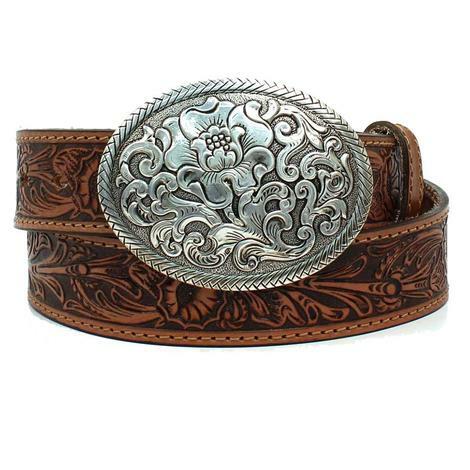 Show off your style with this beautiful antique silver western Nocona belt buckle! 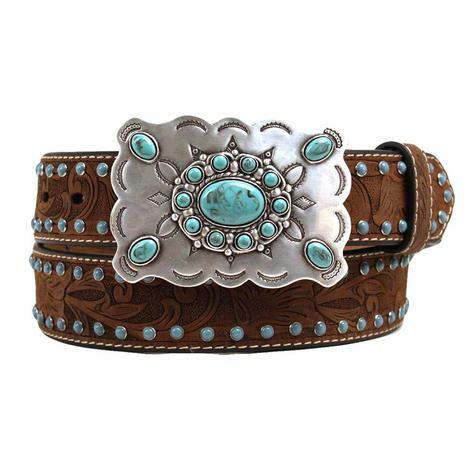 The embedded turquoise blue stone surrounded by floral filigrees and 4 rhinestone corners add that special touch to your outfits. 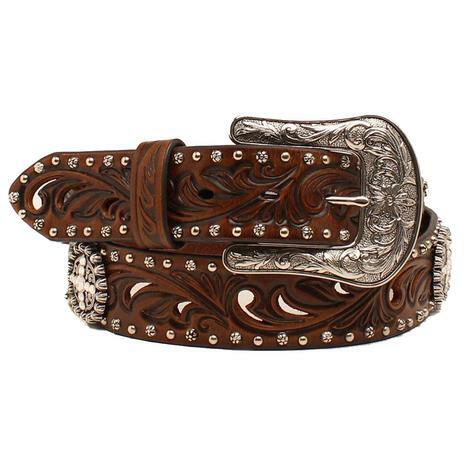 Wear your attitude with confidence cowgirls! 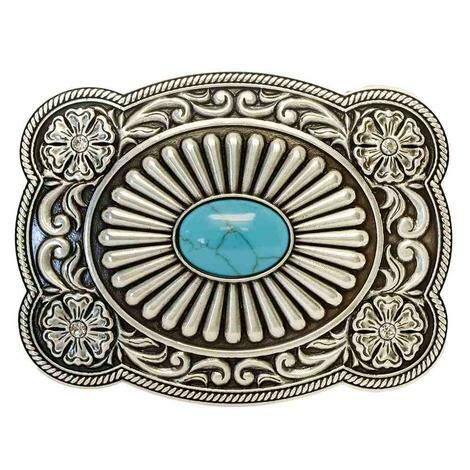 This shiny silver and gold oval Nocona belt buckle speaks loud and clear in the rodeo arena. 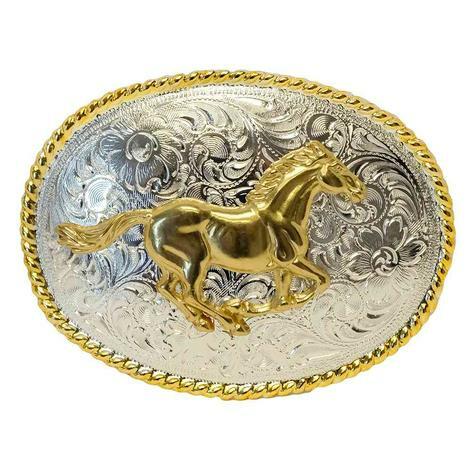 Features include a gold horse with a silver floral background and gold edges specifically designed to catch the arena lights at night. 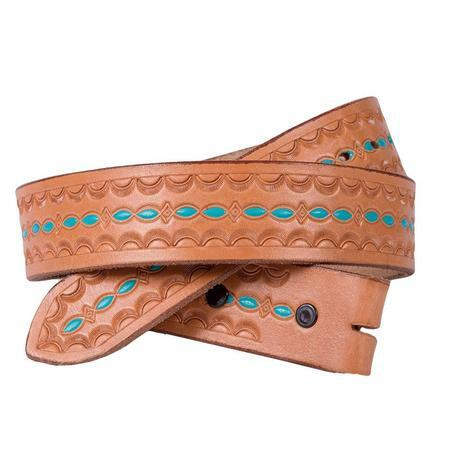 This genuine leather belt features turquoise diamond accents and intricate stitch patterns throughout. 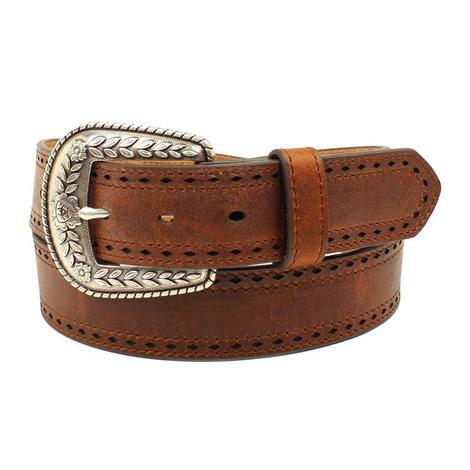 The antique silver belt buckle is removable so you can customize your look. 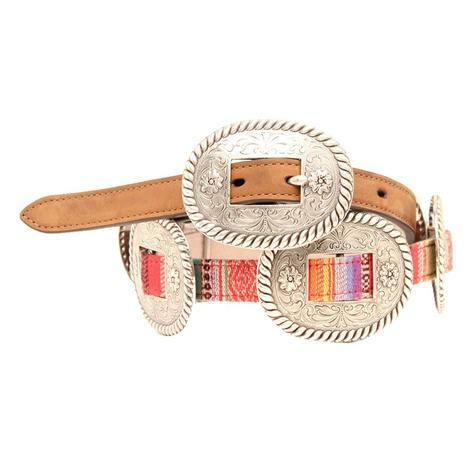 This belt by Nocona features a colorful stitched design along the body, and multiple ornately carved conchos Billet is made of brown leather, and belt measures 2 1/2" wide with 3 1/4" wide conchos. 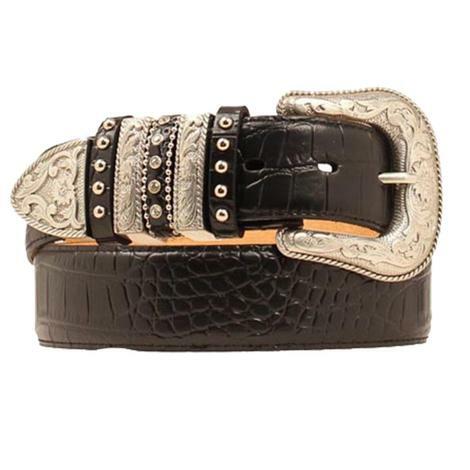 This Nocona womens belt features a unique croco gator print full grain leather; silver studs and rhinestones on keepers; and a stunning silver floral tooled removable buckle, tip and multiple keepers hardware. Measures 1.5 inches. 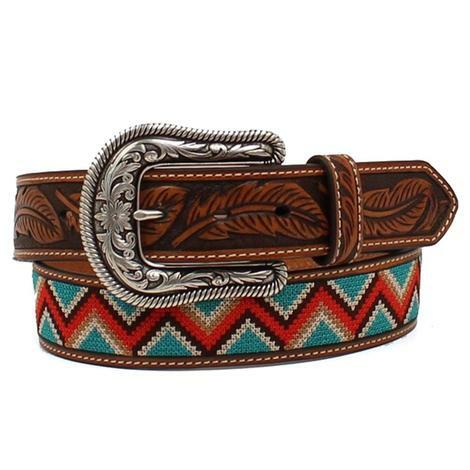 This Nocona women's belt features turquoise brads, embossed leather design, and a rectangle silver buckle with turquoise stone accents. 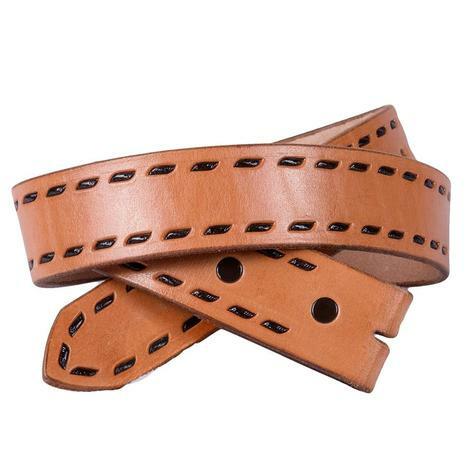 Belt measures 1 1/2" in width. 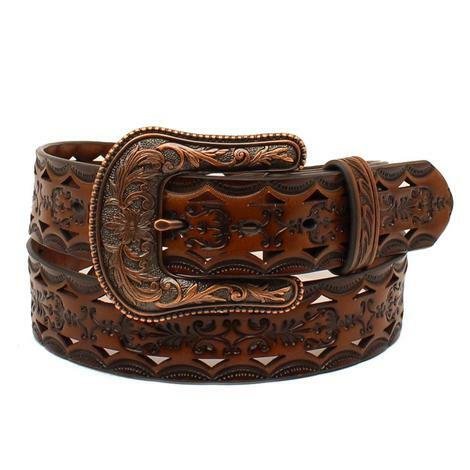 This stylish Nocona women's belt is made of durable leather and has a brown floral pierced strap with black underlay and black laced edges. 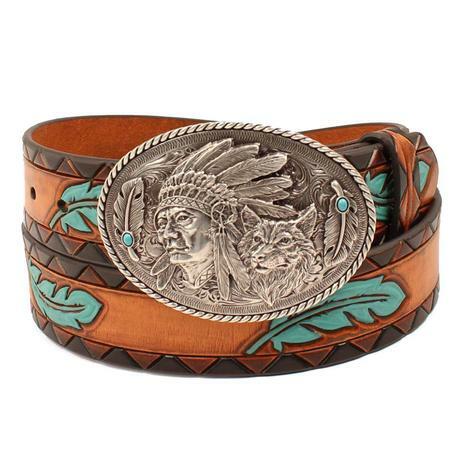 The silver engraved buckle is removable. 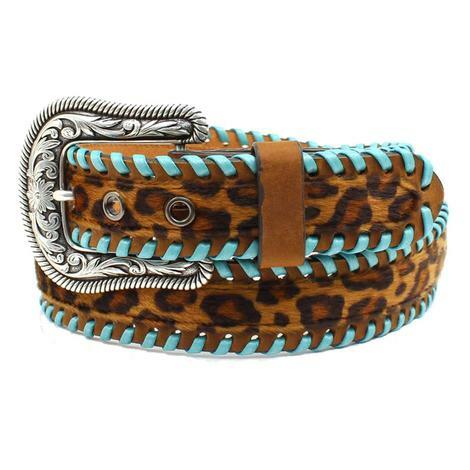 This Ariat belt has some beautiful turquoise lacing on the edges adds a pop of color and perfectly complements the leopard print strap. 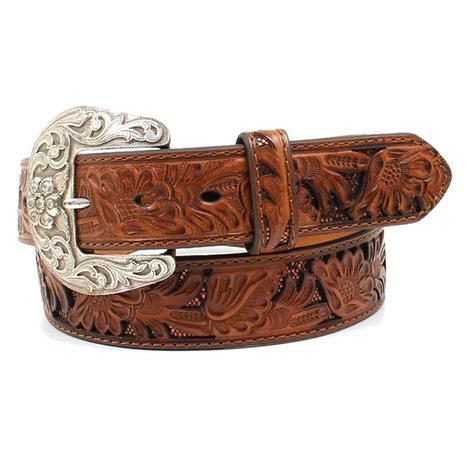 This western style belt by Nocona has floral embossed strap with laced edges. 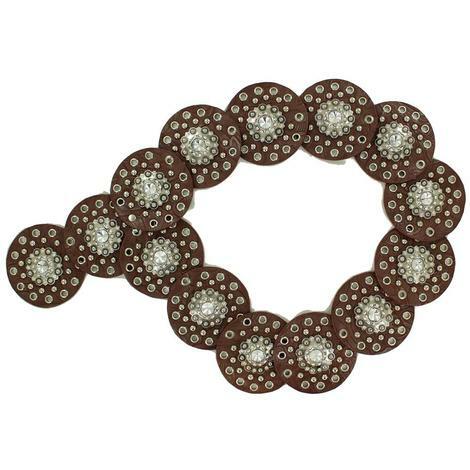 The silver oval buckle has a intricate floral engraved design that's as pleasing to the eye as it is to wear.